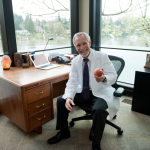 Since 1999, when Dr. Noel Peterson began treating patients with Prolotherapy in Portland and Lake Oswego, Oregon, he has had the opportunity to integrate the latest prolotherapy techniques and innovations into his practice. One of these innovations is the use of Platelet Rich Plasma matrix grafts, or PRP for short. What is Platelet Rich Plasma? PRP is processed from the patient’s own blood in a laboratory procedure to concentrate and harvest PRP and the bioactive tissue growth factors found in your own blood. These growth factors are known to stimulate the healing cascade in musculoskeletal injuries. Here’s how it works: All injuries result in tissue damage. The body’s natural response to injury is an organized process of regeneration and remodeling of damaged cells, ultimately returning the injured tissues to their normal state. Collectively this process is known as the healing cascade. This healing cascade is primarily controlled by bioactive tissue growth factors found in platelets. With PRP prolotherapy, these growth factors are concentrated and injected directly into the site of injury. Why use your own platelets? Platelets are tiny cells that are critical to healing. They are the body’s primary source of bioactive tissue growth factors, including CTGF (Connective Tissue Growth Factor) PGDF (Platelet Derived Growth Factor), TGF-β (Transforming Growth Factor-beta), EGF (Epidermal Growth Factor), IGF (Insulin Growth Factor), buff (basic Fibroblast Growth Factor), and VEGF (Vascular Endothelial Growth Factor. Together, these compounds control and regulate our natural healing cascade in response to injury and degenerative changes. Concentrating these growth factors and injecting them at the site of injury can achieve a robust healing response. PRP provides a fibrin matrix graft. Fibrin matrix provides the scaffolding for new collagen to form along damaged ligaments and tendons. With a fibrin matrix graft, even severely damaged tissues can re-organize and heal. PRP concentrates Mesenchymal stem cells (MSCs). MSCs are multi-potent stem cells that can differentiate into a variety of cell types during tissue repair processes. Cell types that MSCs have been shown to differentiate into include collagen secreting cells, bone forming osteoblasts and cartilage forming chondrocytes. Together these cells have the potential of rejuvenating tissues damaged by injury, degenerative changes, and osteoarthritis. What does it do? The PRP process concentrates fibrin, mesenchymal stem cells, and platelets so that each cubic millimeter of solution contains several million platelets, resulting in up to a ten-fold increase in platelets and bioactive growth factors. Because it is so concentrated, PRP acts as a potent tissue growth stimulant, amplifying the natural process of tissue repair and healing. Studies show that PRP induces the production of new collagen by the fibroblasts, bone and cartilage cells at the site of the injection, rebuilding the joint cartilage and strengthening injured ligaments and tendons. This new collagen is naturally incorporated directly into your existing cartilage and ligaments, making them thicker, stronger and more elastic. 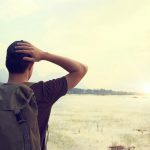 What kinds of injuries can PRP be used in? Medical researchers are reporting remarkable results using PRP in the treatment of common injuries, including tendinosis, the regeneration of cartilage in osteoarthritis of the thumbs, knees and hips, and in non-surgical repair of rotator cuff tears. Published studies show restoration and smoothing of roughened cartilage, improved range of motion, and resolution of pain in osteoarthritis of thumbs, hips, knees and shoulders. Many other conditions respond to prolotherapy with PRP, including injuries to the back, neck, jaw, elbows, shoulders, hands, hips, knees, ankles and feet. Is PRP Safe? 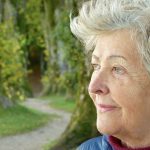 Autologous (patient derived) PRP has been used for over 30 years as an aid in recovery following certain surgical, orthopedic and dental procedures. Over 6600 research articles have been published on the use and safety of PRP. 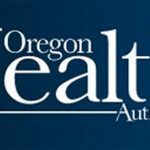 Dr. Peterson has performed thousands of safe PRP injections here in Oregon just in the last 5 years, treating hundreds of patients. 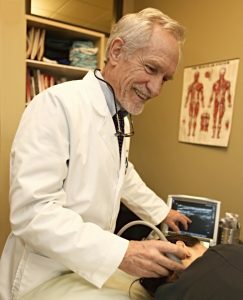 He is a recognized expert in PRP injections, is Certified in Prolotherapy by the American Association of Orthopedic Medicine, and has had the pleasure of training many physicians how to harvest and inject PRP. He has conducted IRB approved research protocols in PRP and is conducting ongoing PRP research.